RSS (Rich Site Summary) is a format for delivering regularly changing web content. 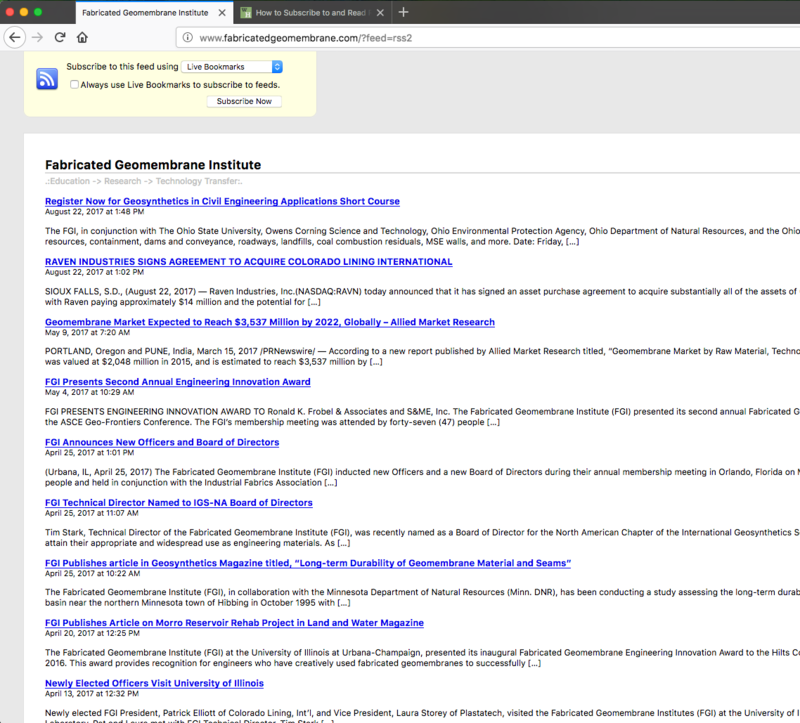 Many news-related sites, weblogs and other online publishers syndicate their content as an RSS Feed to whoever wants it, and the FGI does offer a subscription for items like News, Articles, Technical Papers and Events. This is a way for you to easily check in and see what is new on our website. Reader content will show up in somewhat of a list format in a designated area somewhere in the browser interface on your computer screen. An RSS Feed Reader is not automatically built into the Chrome interface, but below are some options for a download. This is basically an App, or add-on software that will allow you to subscribe to our RSS Feed. 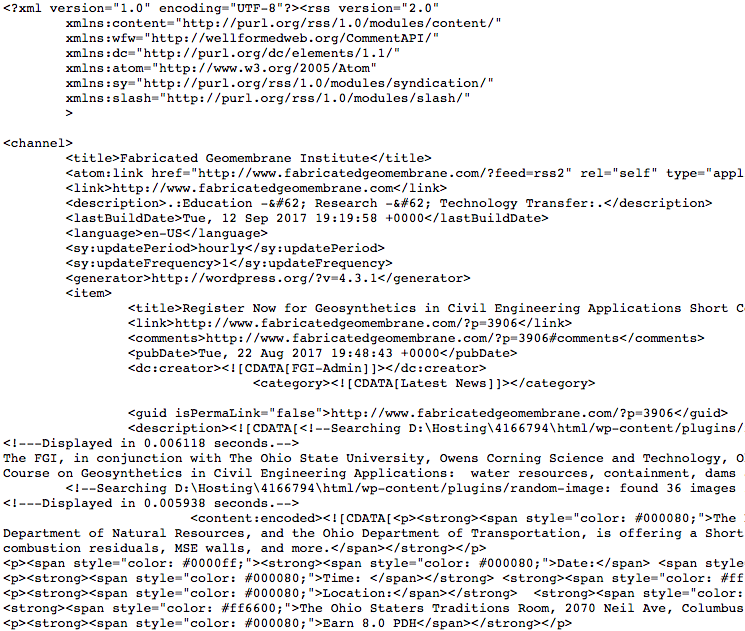 Typically updated versions of Firefox, Safari and Internet Explorer have built in RSS Feeders. Just click subscribe and follow prompts to see and save our RSS feed. If you find that you do need to download an extension or add-on software, please reference this link for RSS Feed Reader options. Microsoft Edge does not support add-ons or RSS feed readers at this time. We recommend using one of the internet browsers listed above if you want to subscribe to our RSS Feed. Note that the FGI does not have any affiliation with the linked options, and is not responsible or liable for issues encountered when using these services. Provided options are merely suggestions of what is available, and FGI assumes no responsibility by providing as links here.